Israel Ellen with the crops. “Star-K requires all produce to be thoroughly washed and checked to make sure not even one insect is found. 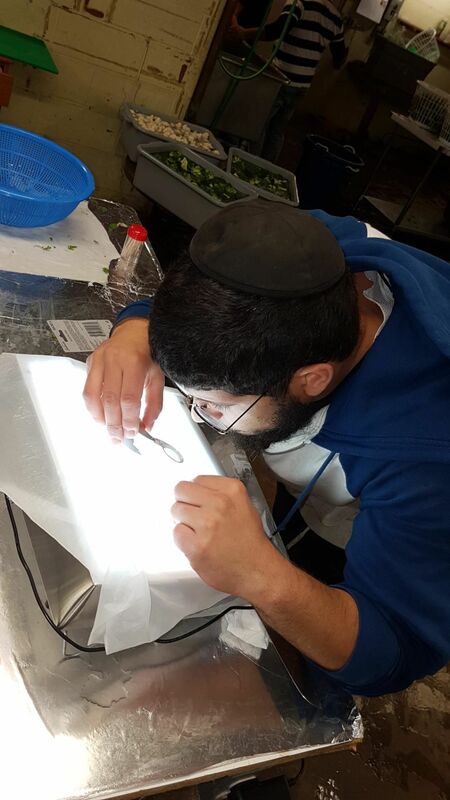 The method we use is known as the ‘thrip cloth’ method, which is widely considered the most effective way to check produce,” Rabbi Stern said. 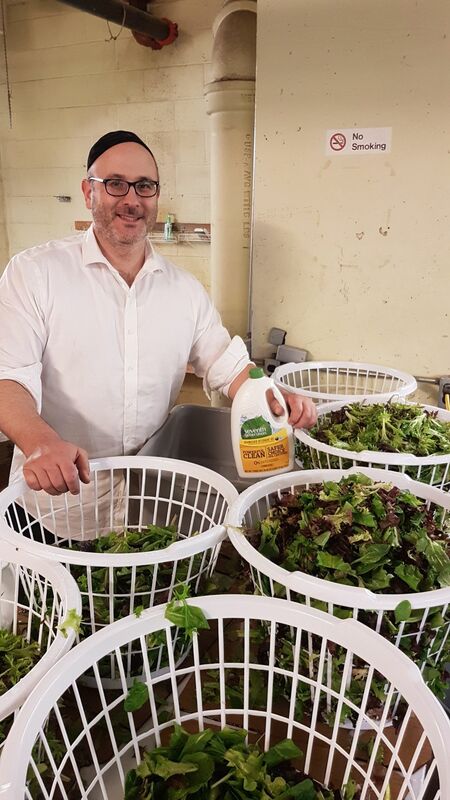 He is also looking into producing a line of fresh vegetable juices, and is hoping to expand into Florida, Illinois and California with its current product line by Passover time. Launching Kosher Crops was a chesed project for Ellen, as his primary work is now in real estate. But as the salad business is growing outside the region, it’s starting to take more of his time.